Flying Giant Scale Airplanes Are You Ready to Fly Them? Flying Giant Scale Airplanes, Are You Ready to Fly Them? Flying giant scale airplanes can be quite a challenge for many pilots. Some mistakes rc pilots make, is moving on to aircraft that they have not developed the proper skills to fly. If you are considering flying scale aircraft, ask yourself some hard questions before investing in such expensive airplanes. 1. Do I have the skills to fly very large scale airplanes? 2. Can I afford the expense of such aircraft? 3. Where will I store my scale aircraft? Yes, these are serious questions you must answer before moving on to such advanced airplanes. Yet some pilots ignore the above questions and find out badly they are not prepared for advanced airplanes. Now if you feel ready GREAT! What are some ways to help you find your first model? * Visit hobby stores in your area, and ask experienced rc salepersons about flying rc scale airplanes. * Do not buy any aircraft on your first visit, get all possible information. Shop around and visit other hobby stores, ask questions. 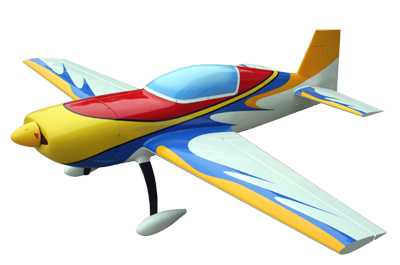 * Locate rc flying clubs in your area, where pilots might fly scale airplanes and ask questions. How much did their airplane cost? Are they hard to fly? What is a good first scale airplane? You really need to see a scale airplane fly in person. Also watch Youtube video of scale airplanes flying. Ask yourself honestly,"Do I really want to invest money and time into Flying Giant Scale Airplanes? If not, no problem, well wait until you feel the time is right. It might be a few years, so what, enjoy the aircraft you are currently flying!